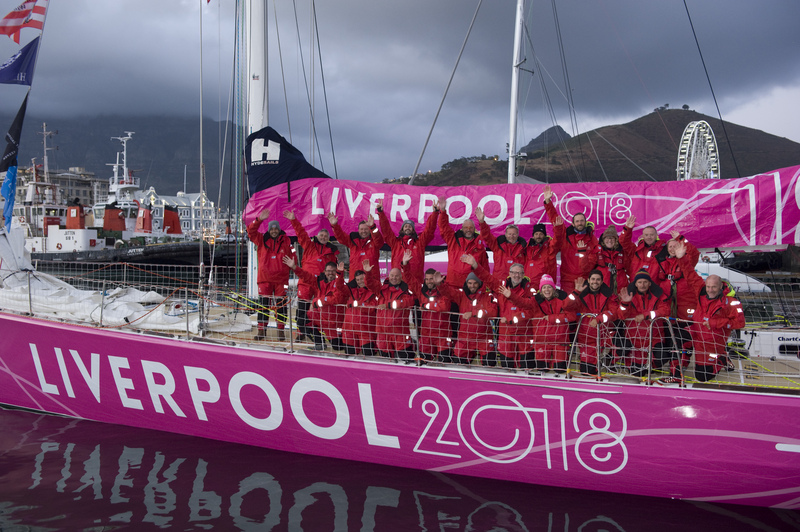 After some fast and furious sailing across the South Atlantic Ocean, Visit Seattle managed to edge out Liverpool 2018 to claim fourth place in the closing stages of the Stormhoek Race to the Cape of Storms. 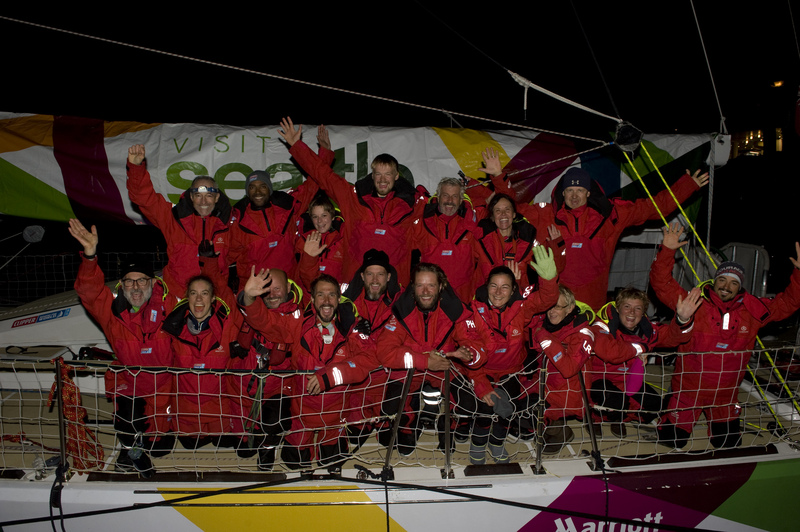 Visit Seattle crossed the finish line in the early hours at 03:39:10 local time (01:39:10 UTC) beating their rival by just 27 minutes and 1 second after racing 3,560 nautical miles from Punta del Este. Jerome Greenhalgh, a 26-year old mechanical engineer circumnavigating the world on Visit Seattle said: “It has been a roller-coaster of emotions, but I am feeling great. We’ve had a great team and a really tough sail with highs and lows but it was exactly what I signed up for so I’m feeling fantastic. “We definitely made decisions and thought about where we wanted to be in the pack and possibly finished slightly higher than we had hoped and planned, so a really good team plan that we executed well. 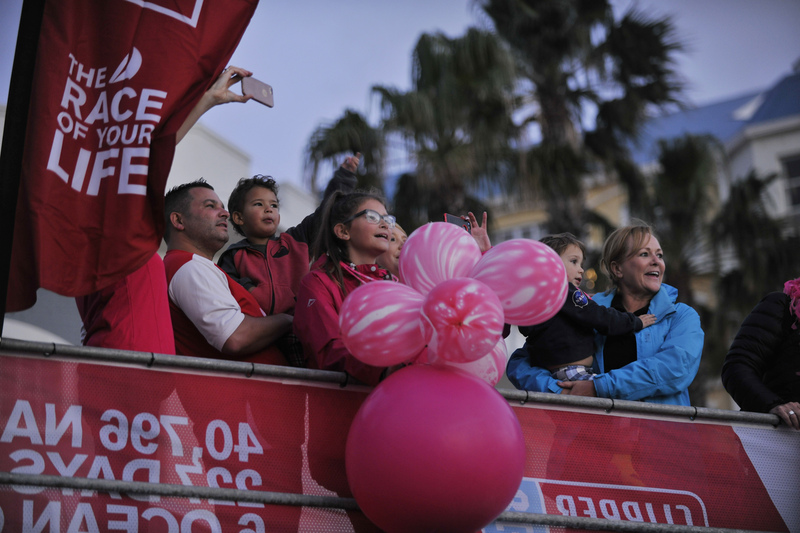 This fourth place really was a team effort." The finishing positions for both teams are a marked improvement on Race 1 where Liverpool 2018 and Visit Seattle finished in ninth and eleventh position respectively. Furthermore, both teams opted for a more northerly route to claim bonus points at the Scoring Gate with Liverpool 2018 receiving two bonus points for being the second team to cross it and Visit Seattle snatching the last bonus point.